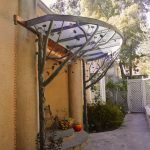 King Iron Works is located in Burbank but we have ongoing projects in various locations such as Calabasas, Malibu, Beverly Hills and Santa Clarita. We are even building these beautiful balcony railings for a customer’s house in the island of Roatan, Honduras. Our custom iron pieces are personalized and can fit the ambiance of your neighborhood, whether you live in the city or the suburbs. 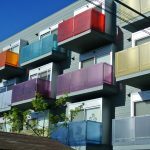 Our customers who live in the city tend to choose a more modern and sleek design that emphasizes their fast- paced lifestyles. 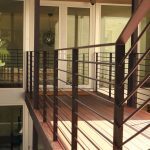 Modern iron railings can add a very sophisticated and cosmopolitan feel to the house or condo. Straight and sturdy stair railing designs make a great statement. It truly shows off the customer’s current and contemporary style. A lot of customers from the suburbs are also saying good-bye to their white picket fences and are replacing them with solid structural iron works for security. Most of our customers who reside in the suburbs are interested in a warm and homey atmosphere. Our designs have to compromise between that domestic warmth and the security to protect these homes. 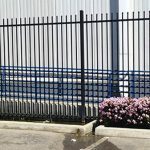 A strong, wrought iron fence or driveway gate can be perceived as an imposing structure for strangers but can be stunning and welcoming for the customers, their friends and their families. Our designers often incorporate a lot of scrolls and knuckles to soften up the style to provide a more hospitable feel. One of our favorite locations is by the ocean. Our customers by the sea get very creative with the designs. Some opt for a lot of curves and circles, mimicking the waves from the ocean. A lot of our clients by the beach also choose brighter colors to give out that warm sunshine glow. 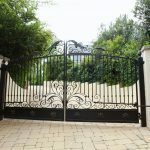 Our clients from Malibu or Pacific Palisades worry about the damp environment that could lead to a quick rusting of their gates. 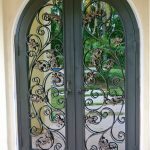 Fortunately, we always recommend galvanizing any custom iron works that are constantly exposed to water. Galvanizing any iron project will maintain the iron from oxidizing quickly, making it last for years and years. Wherever your home is, King Iron Works has the right design for you!